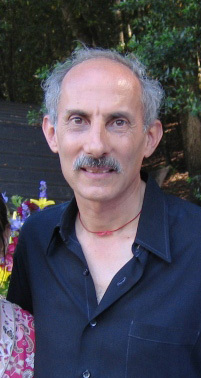 Jack Kornfield (born 1945) is a bestselling American author and teacher in the vipassana movement in American Theravada Buddhism. He trained as a Buddhist monk in Thailand, Burma and India, first as a student of the Thai forest master Ajahn Chah and Mahasi Sayadaw of Burma. He has taught meditation worldwide since 1974 and is one of the key teachers to introduce Buddhist Mindfulness practice to the West. In 1975, he co-founded the Insight Meditation Society in Barre, Massachusetts, with Sharon Salzberg and Joseph Goldstein, and subsequently in 1987, Spirit Rock Meditation Center in Woodacre, California. Kornfield has organized teacher training and led international gatherings of Buddhist teachers including the Dalai Lama and has worked as a peacemaker and activist. Kornfield is one of four boys born to Jewish parents. He is a fraternal twin. After graduating from Dartmouth College in Asian Studies in 1967, Kornfield joined the Peace Corps and was sent to Thailand. There he met and became a monk under the renowned forest master Ajahn Chah, and later practiced with Mahasi Sayadaw of Burma and Dipa Ma. Kornfield returned to the United States in 1972 and, in the summer of 1974, participated in the founding session of Naropa Buddhist University. From the associations of this period came the Insight Meditation Society, co-founded in 1975 with Sharon Salzberg and Joseph Goldstein in Barre, Massachusetts. In 1987 he co-founded Spirit Rock Center in Woodacre, California. Kornfield has trained many of the Vipassana teachers in America, and hosted and led gatherings for Buddhist teachers together with the Dalai Lama and worldwide. Trained with a Ph.D. in clinical psychology from Saybrook Institute, Kornfield has written extensively on the bridge between Eastern and Western psychology. His daughter Caroline is a graduate of Berkeley Law and practices Asylum Law. His ex-wife Liana is an artist and therapist. His wife Trudy Goodman is also a renowned meditation teacher and the founding teacher of InsightLA. Kornfield has worked to make Buddhism accessible for Westerners. He has focused on combining loving kindness and self compassion with the practice of mindfulness, and incorporating together the wisdom of Eastern and Western psychology. In Jack Kornfield's book After the Ecstasy, the Laundry, he writes about the honest development of the wise heart within the cycles of day-to-day life; for instance "amid all the Western masters and teachers I know, some idealistic perfection is not apparent. Times of great wisdom, deep compassion, and a real knowing of freedom alternate with periods of fear, confusion, neurosis, and struggle. Most teachers will readily admit this." Kornfield sells online meditation courses from his web site. Kornfield, Jack (2017). No Time Like The Present Finding Freedom and Joy Right Where You Are. [Atria Books, Inc. ISBN 978-1-4516-9369-0. Kornfield, Jack (2011). Bringing Home the Dharma: Awakening Right Where You Are. Shambhala Publications, Inc. ISBN 978-1-59030-913-1. Retrieved May 15, 2015. Kornfield, Jack (2011). A Lamp in the Darkness: Illuminating the Path Through Difficult Times. Sounds True. ISBN 978-1-60407-642-4. Retrieved May 15, 2015. Kornfield, Jack (2010). The Buddha is Still Teaching: Contemporary Buddhist Wisdom. Shambhala Publications, Inc. ISBN 978-1-59030-922-3. Retrieved May 22, 2015. Kornfield, Jack (May 1, 2008). The Wise Heart: A Guide to the Universal Teachings of Buddhist Psychology. Bantam Dell. ISBN 978-0-553-80347-1. Retrieved April 20, 2015. Kornfield, Jack (2008) . Meditation for Beginners. Sounds True. ISBN 978-1-59179-942-9. Retrieved May 16, 2015. Kornfield, Jack; Fronsdal, Gil (1996) . The Teachings of the Buddha: Edited by Jack Kornfield with Gil Fronsdal. Shambhala. ISBN 1-57062-124-1. Retrieved May 16, 2015. Kornfield, Jack (October 2, 2001). After the Ecstasy, the Laundry: How the Heart Grows Wise on the Spiritual Path. Random House Publishing Group. ISBN 978-0-553-37829-0. Retrieved June 6, 2011. Goldstein, Joseph; Kornfield, Jack (March 6, 2001). Seeking the Heart of Wisdom: The Path of Insight Meditation. Shambhala. ISBN 978-1-57062-805-4. Retrieved June 6, 2011. Goldstein, Joseph; Kornfield, Jack (August 29, 1995). The Path of Insight Meditation. Shambhala. ISBN 978-1-57062-069-0. Retrieved June 6, 2011. Kornfield, Jack (June 1, 1993). A Path with Heart: A Guide through the Perils and Promises of Spiritual Life. Bantam Books. ISBN 978-0-553-37211-3. Retrieved June 6, 2011. Feldman, Christina; Kornfield, Jack (1991). Stories of the Spirit, Stories of the Heart: Parables of the Spiritual Path from Around the World. HarperSanFrancisco. ISBN 978-0-06-250321-3. Retrieved June 6, 2011. Kornfield, Jack; Breiter, Paul (September 1, 1985). A Still Forest Pool: The Insight Meditation of Achaan Chah. Quest Books. ISBN 978-0-8356-0597-7. Retrieved June 6, 2011. Kornfield, Jack (1996) . Living Dharma: Teachings and Meditation Instructions from Twelve Theravada Masters. Shambhala Publications, Inc. ISBN 978-1-59030-832-5. Retrieved May 17, 2015. Kornfield lectures were featured by Joe Frank on his radio series "The Other Side." ^ "About". Jack Kornfield. Archived from the original on August 12, 2015. Retrieved August 20, 2015. ^ a b c d e Silberman, Steve (September 1, 2010). "Wise Heart: A profile of Jack Kornfield". Retrieved September 10, 2015. ^ "Finding My Religion / Buddhist teacher and author Jack Kornfield on mindfulness, happiness and his own spiritual journey". SF Gate. November 28, 2005. Retrieved September 11, 2015. ^ a b "About". Jack Kornfield. Archived from the original on December 22, 2013. Retrieved December 21, 2013. ^ Kornfield, Jack (2008). The Wise Heart. Bantam Books. p. 76. ISBN 9780553382334. ^ "Dharma teachers Trudy Goodman and Jack Kornfield to tie the knot". Lion's Roar. April 20, 2016. Retrieved April 20, 2016. ^ "About InsightLA". InsightLA. Retrieved April 20, 2016. ^ Kornfield, Jack (2001). After the Ecstasy, the Laundry: How the Heart Grows Wise on the Spiritual Path. Random House. p. xix. ISBN 9780553378290. This page was last edited on 9 January 2019, at 21:39 (UTC).